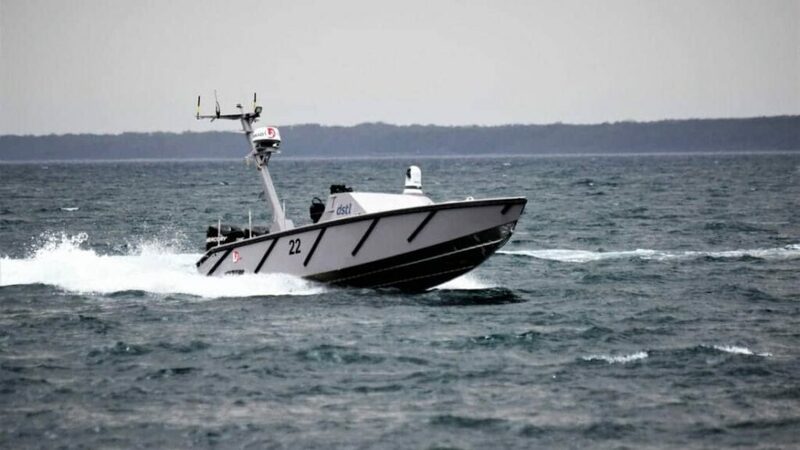 L3 ASV has announced the completion of a series of unmanned surface vessel (USV) demonstrations at the Australian Defence Showcase, Autonomous Warrior 18, in Jervis Bay, Australia. In support of the Defence Science and Technology Laboratory (Dstl), L3 ASV operated a 9-metre (30ft) vessel outfitted with advanced autonomous navigation capability for reconnaissance, interdiction and patrol tasks. The vessel, dubbed MAST-9, operated in fully autonomous mode, including COLREG aware collision avoidance, navigating the waterways at speeds of up to 40 knots, for over 80 hours, across the two-week event. MAST-9 successfully executed seven different task types comprising loiter, shadow, interdict, survey, patrol, target tracking and inspection. “The reliability and consistency of the system was solid proof of the use case for autonomous surface platforms for persistent inspection and tracking at range, particularly in challenging environmental conditions,” said Dr. Howard Tripp, Autonomous Systems R&D Lead, L3 ASV. “There were instances where the weather dictated that manned vessels had to return to harbour – the autonomous vessel, by its nature, was not subject to these concerns and was able to operate normally. This is where the real value in autonomy lies,” he continued. MAST-9 completed approximately 100 tasks commanded from the MAPLE system. Operational status and payload feedback were communicated to and from MAPLE using ASView, L3 ASV’s proprietary autonomous control system. Using an optical and infrared camera, MAST-9 demonstrated high-speed inspection capability. The ASView control system allowed the remote mission commanders to track and follow target vessels for interdiction tasks. The vessel, designed and built by L3 ASV, used radar to provide situational awareness, making it possible to detect and avoid other vessels accordingly.